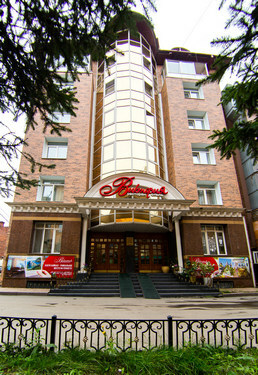 Welcome to "Victoria" Hotel Irkutsk! 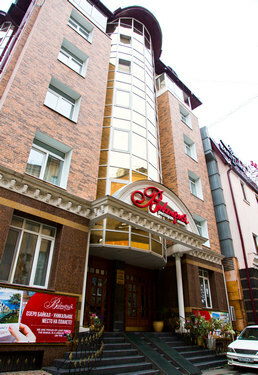 «Victoria» Hotel is a small but modern and classy hotel conveniently located in the heart of Irkutsk City. 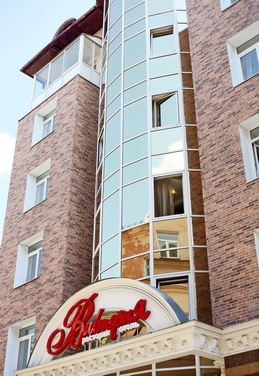 «Victoria» Hotel is situated in the city center, near to the main street – Karla Marks, where basic shopping centers and the best places for entertainments and rest are located. The Hotel offers their guests 30 rooms of different classes: standard room, superior standard room, studio. All guest rooms are equipped with an electronic security system, local and international telephone connection, satellite television, air-conditioners, plasma TV, mini-bars, Wi-Fi, baths. - All rooms are equipped with air-conditioners, plasma TV, mini-bars, phones, baths. - The hotel accepts credit cards "Visa", "Maestro", "MasterCard", "American Express", "SBERBANK". Comfortable and spacious rooms, European cuisine, helpful and friendly staff - here is everything so you can make yourself at home whether you are on holidays or on a business trip. We will make your stay in Irkutsk pleasant!